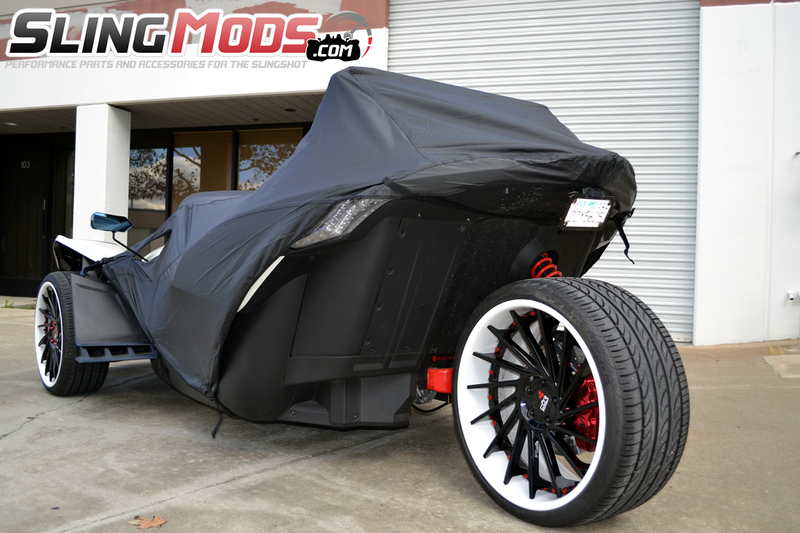 Nelson-Rigg has outdone themselves with not one but two covers for the Polaris Slingshot. One is a full vehicle cover and the other covers just the cockpit area. 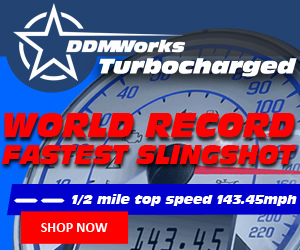 Protect the interior of your Polaris Slingshot with this all weather cockpit cover from Nelson-Rigg, a leader in motorcycle covers. This product is 100% waterproof and blocks harmful UV rays from discoloring your interior when not in use. The cover quickly secures using an integrated buckle system and included rubber coated hooks. The Nelson Rigg half cover works with or without a windshield and even includes a compact carrying bag for easy storage. 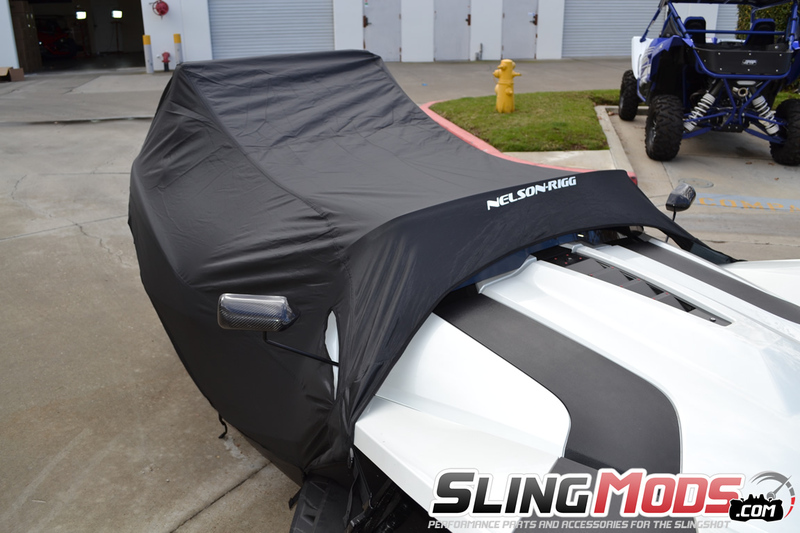 Purchase this Slingshot cover with confidence, as it's backed by the Nelson-Rigg Lifetime Warranty! Very interested! 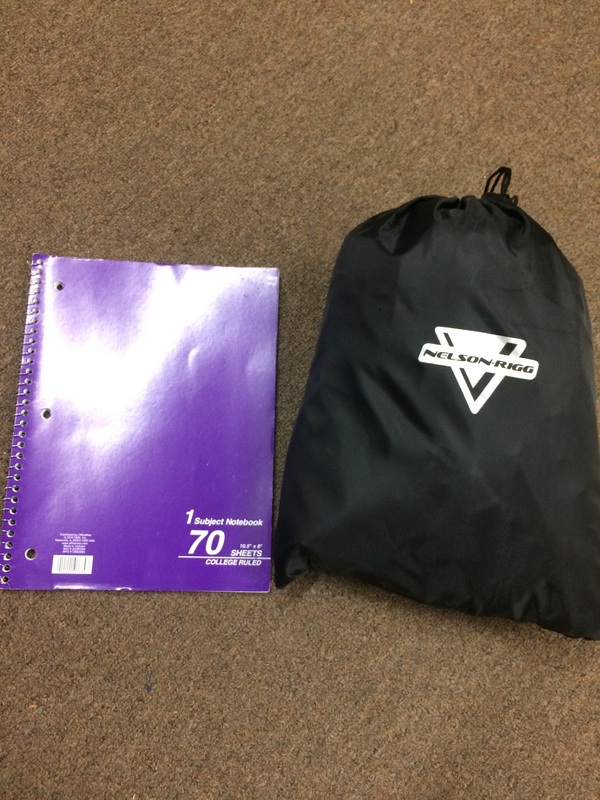 Does it take up much room when in the storage bag? Looking for a lighter cover that the OEM cockpit cover. Doesn't take much room up at all! I will attach a picture for reference! I think I'm going to get this on my next order. People..... a cockpit cover is a necessity! @Ross We do have another cover that will fit with tops and saddlebags. 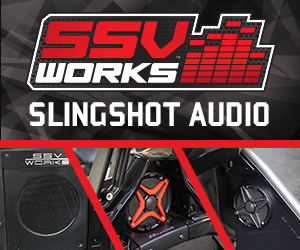 I will attach a link below, just select the exterior accessories you have and it will be custom to your slingshot! I got a wing. I doubt this will fit. What do you think. Says it works with the Alpha spoiler. What kind of wing do you have? ebay special I made work. @chad warren could you PM me the dimensions of your wing and I could follow up with you and let you know if it will fit! @Ross same as well could you PM the dimensions of the stinger roof and we can see if one of the other roofs have similar enough dimensions for it to work on your top! @Ross no problem at all! Let us know when your slingshot is out storage and we can find out if it will work with that top. I am actually talking to another guy through emails asking about this as well. If me and him are able to find out if it works or not before your sling comes out I will let you know! He Buddy I sent my Polaris Cockpit cover over to the canvas shop and had them make cut outs for the wing supports. Cover fits great - I will put it on when I get a chance and shoot you a picture. I used it on the Murphy trip with no issues. Hope it fits the big red ones? Edited once, last by nipper51 ( Jan 14th 2017 ). @lrobbi no problem, if you could PM me the dimensions of the wing I could find out if it will fit the same as the Alpha spoiler! Just wondering if both these covers have the "felt" underneath where it covers the wind screen?